I wanted to write a fibro update and sometimes I'm at a loss as to how to explain how it has been going. The hard thing for me is that I've always been an optimist. I like to be (and want to be) a positive person. It's hard for me to write about the hard things and feel like I'm bringing anyone down. I don't want anyone to be saddened by what I write about, but I also want to be honest for myself looking back and for others who think this thing is easy if I make it sound that way. Truly, it's complicated and there are steps forward and back. I want to be honest with myself and share how it really is. When I wrote my last update, things were seeming to go in the direction I wanted. Literally a few hours after writing that post, I had a "flare up" that threw me for a loop for a number of days. I've had to miss half days from work here and there which really frustrates me. I don't want this to affect me, and the very last thing is for others to see or be able to tell that it gets a hold of me. When I see progress, I want joyfully to move forward without looking back. That isn't always what happens though, there are many things that can bring my symptoms back harder, and I can't always predict what makes that happen. Through many hard days, I've tried to figure out how to describe it to Nick. One morning a few weeks ago at work, as I went from feeling awful to feeling so much better, a Bible verse came to mind. This is exactly how it feels. During the "flare ups" or even on my typical morning, I find myself in a slimy, deep, dark, muddy pit and can't get out. Once I'm lifted out, I feel like I could sing it to the world, conquer anything I want, and I try to live in and enjoy every second I'm out of the pit and on solid ground. We pray about what I go through daily. I know the Lord is good, He has plans for me, and I believe he'll use what I've been going through for His purpose. 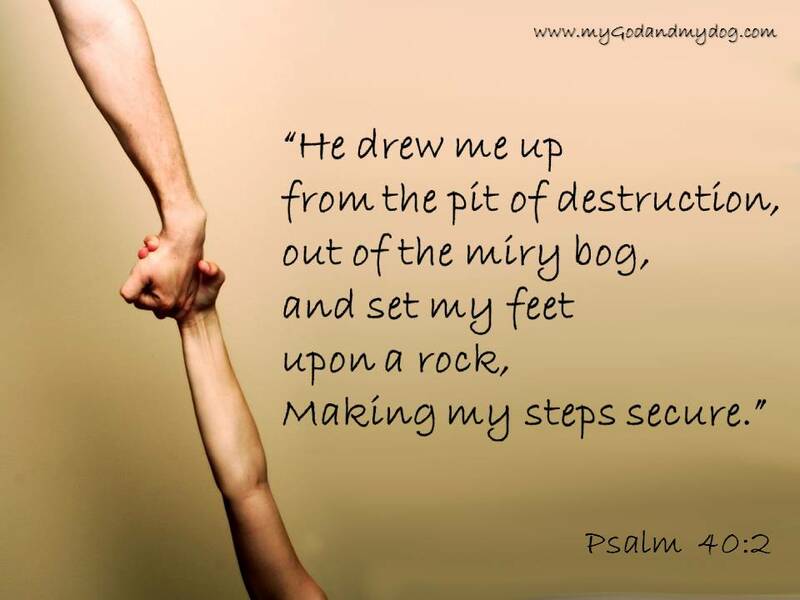 It isn't easy as I face this daily, but the Lord has set my feet on His solid ground and I know He is my rock. With fibro, I have ups and downs, but I always know He is with me. I can say I believe facing these battles has brought me closer to the Lord, needing Him daily. I would imagine Nick might say the same. He is orchestrating this beautiful life and though we face the battles we face, we know He is in this battle, carrying us when we aren't able to walk.